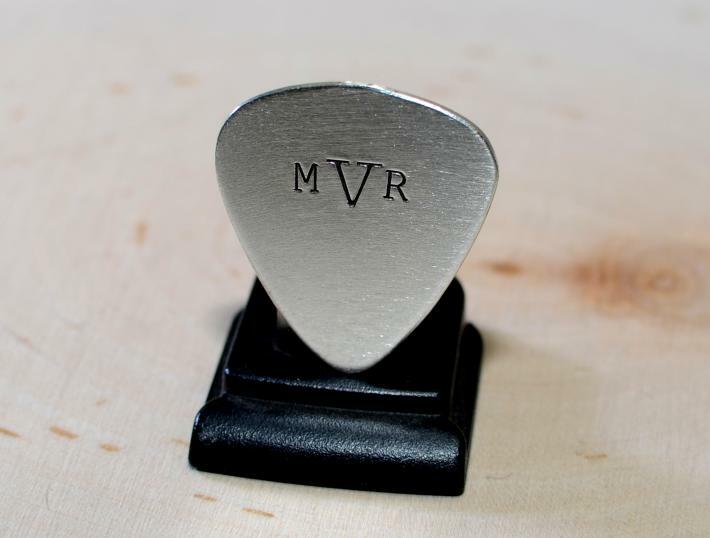 Handcrafted from thick 18 gauge sterling silver and burnished with my signature brushed finish to reveal a strong visual texture that flaunts the beauty of sterling silver while bringing out the rich grain structure of the metal, this guitar pick takes your personalized monogram center stage in American Typewriter font and then rocks outs in the spotlight with filed edges combined with a perfectly smooth finish for a glide that is music to the ears. We make this guitar in 3 sizes. 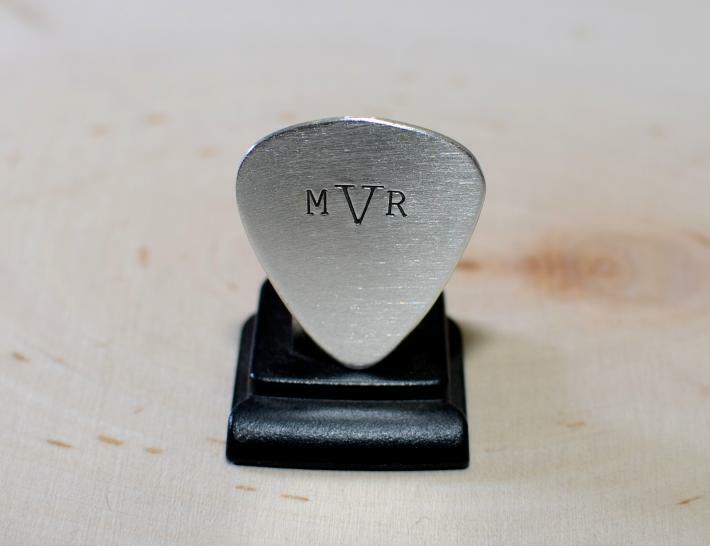 The medium is comparable to Fender 300 series or Dava pick measuring slightly longer than 1 inch. 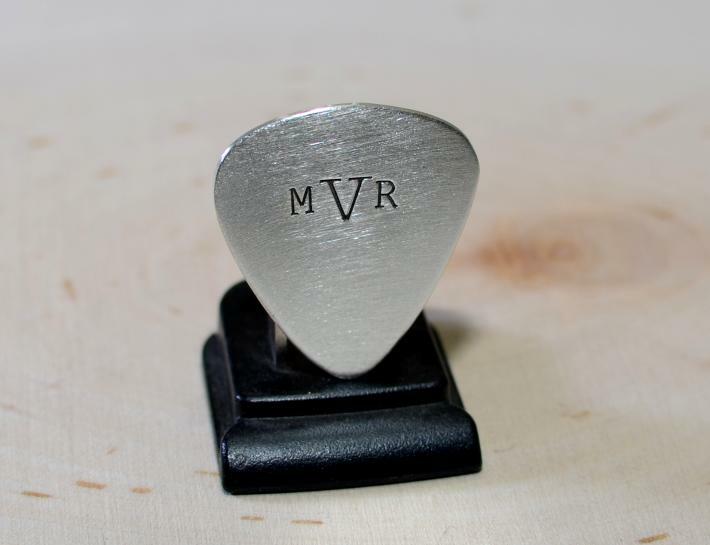 Our standard size is Nici's custom pick that was developed with input from a professional guitarist and measures 1.3 inches long by 1.2 inches wide. 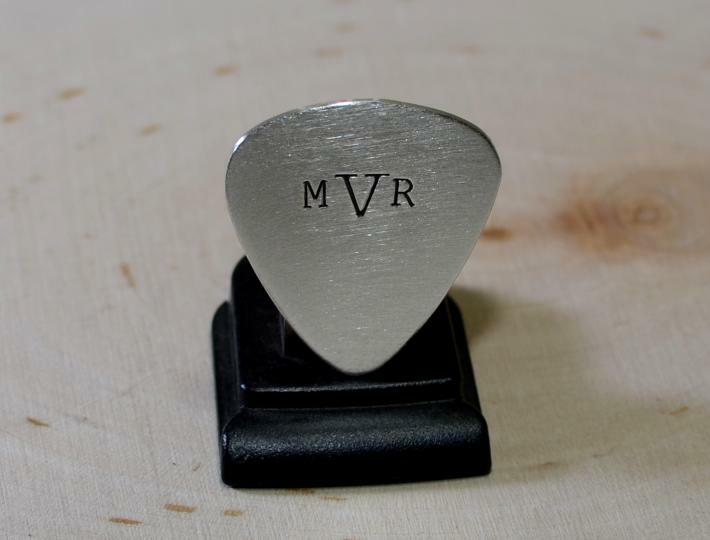 Finally, we also offer the monogram guitar pick in a jazzy tear drop shape measuring 1.2 inches in length. Our standard finish is burnished or brushed finish that provides a perfectly smooth finish, while hiding scratches and finger prints. This brushed finish is produced with an 80-100 grit flap wheel and is ideal for a pick being used to play the guitar. This pick can also be delivered in perfect mirror finish for an additional $10.00. This mirror finish is produced by tumbling the guitar pick in ceramic polishing media for about 7-10+ days until we can see our reflection. Such a finish is good for displays and some jewelry, but will be quickly ruined when used on your guitar strings.